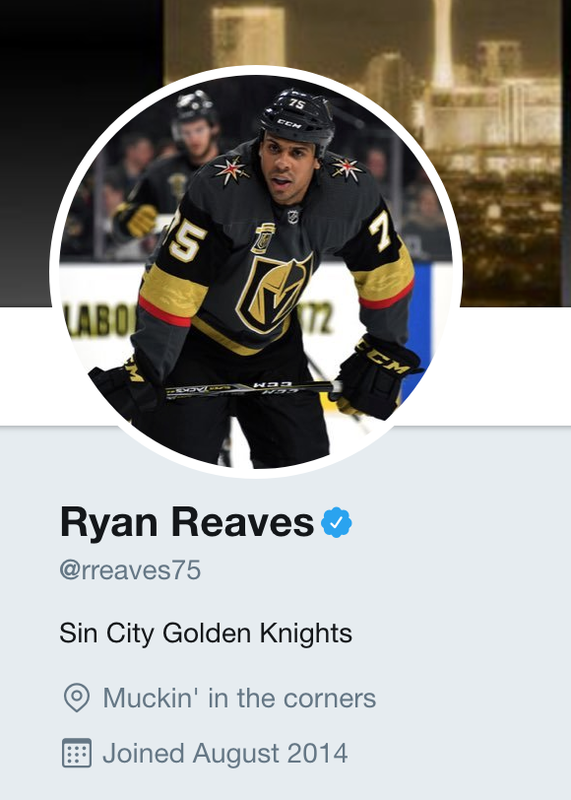 Game 5 hero Ryan Reaves has only been a Golden Knight for four months but is easily the most polarizing player in franchise history. That was up until yesterday’s series clinching goal. Reaves is a big body that can hold his own in front of the net. His strength around the crease opens up shooting lanes for his teammates, which is what happened on Reaves’ game winning tip in. Defenseman Luca Sbisa saw some light and let it sling. Like they’ve done hundreds of times together in practice, Reaves kept his eye on the biscuit and deflected it over Jets goaltender Connor Hellebuyck. When Vegas announced the acquisition of Reaves, GM George McPhee mentioned trading for a role player with playoff experience. Many (cough, Ken, cough) were confused because the Golden Knights had been playing so well, and concerned that bringing in an opposite style would hurt the club’s chemistry. Jack Adams finalist Gerard Gallant echoed McPhee’s message, that Vegas wanted Reaves to play his game. After adjusting to a faster more disciplined style of play, the big fella fit in grinding away on the checking line. The new misfit worked with his teammates down the stretch and built the connection we saw in the Western Conference finals. The Winnipeg native earned his Game 5 moment. Like Gallant said, Reaves has played well, and kept himself prepared. For some fans, it was the first time he stood out for something outside of landing bodychecks. However, he’s done his job ‘Muckin’ in the corners‘, which can go unnoticeable. It was tough to miss his value yesterday. Reaves’ Western Conference Finals series clinching goal was just another example of the Golden Knights mantra. I am intrigued by what will happen in the next round with him. Tampa wins it’s all speed. I would probably remove him from the line up, insert a Tatar or Lindberg on to the Perron/ Eakin line and drop Carpenter down the the 4th. Speed and scoring type of series here. Just my 2 cents. But the reality is whatever Gallant does, I completely trust. 100% agree with all this. Excited to see what Gallant does though, he’s been one step ahead of everyone else in hockey all season. Reaves has played well when called upon due to the injury to Carrier. He is a big guy that did what he was supposed to, screening the goalie while having you stick in position for a tip. I still worry about him going back to the St. Louis style and taking a bad penalty. I game 4 he was going to the bench but stopped just short to jaw with the Jets bench. Neal had to tell and push him toward the door, twice, in the first period. Was better after that. He has been good in the playoffs but the concerns were warranted. It wasn’t working in the regular season and everyone including reaves knew it. He even acknowledged he would have benched himself I believe. So glad to see him producing and proving me wrong.